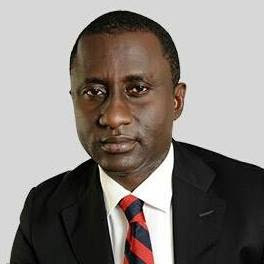 Embattled oil marketer, Mr Uche Ogah has ran to the Depot and Petroleum Products Marketers Association (DAPPMA), which he is a member, begging them to contribute money for him to prosecute his case against the Governor of Abia State, Dr Okezi Ikpeazu. A reliable source in the association revealed that Ogah went to the President of DAPPMA, Mr. Dapo Abiodun, begging for financial support of the association, promising to compensate if he eventually succeeds to become governor. “Uche is a desperate man. And his desperation has cost him a lot. Uche has lost billions within this period. I don’t know who is advising him. He is going about begging, ask people to support him. His argument is that he already has a certificate of return issued to him by INEC and that he is waiting for his swearing in. “He went to our president, I doubt if he got what he wanted. Uche has his hands into too many things. He is owing banks, owing others too. And he has this case against Him in Lagos where he is being charged for fraud and forgery too.”The source said.